I'm getting away with a life of lying! 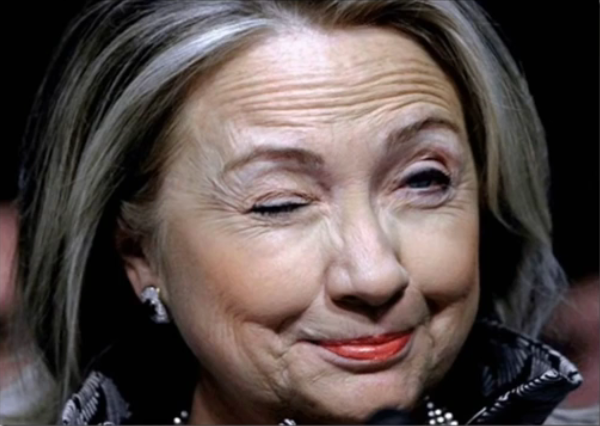 Is Hillary Clinton suffering from Parkinson's disease while her campaign lies and denies that there's anything wrong other than "over talking"? She's not choking from lack of water but because saliva is going down the wrong way, and she has no balance to walk up steps, and she's spacing out, and she's lying about it. And by stealing the nomination from beloved Bernie Sanders, she has cost Democrats the election and given us the tragic Pres. Trump. My make up can't hide the truth. Now that Gary "Aleppo" Johnson has shot himself in the foot, vote third party. Vote Green. Vote Jill Stein, the only candidate with the heart to stand with the environmentalists and Native Americans, even to the point of being arrested and charged with vandalism for political free speech that goes against The Man. 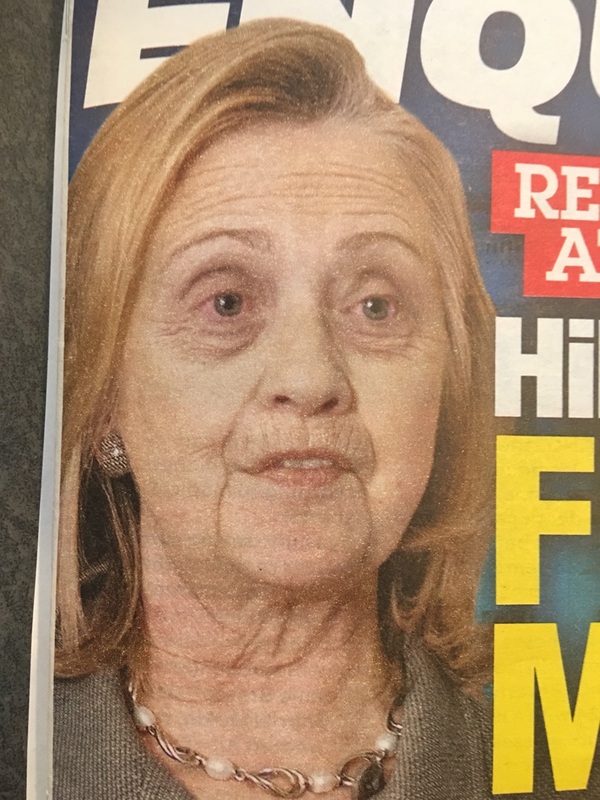 "Parkinson's Disease is a completely disqualifying condition for any position of responsibility....The presidency is the highest stress job in the world." I never said I didn't have Parkinson's. 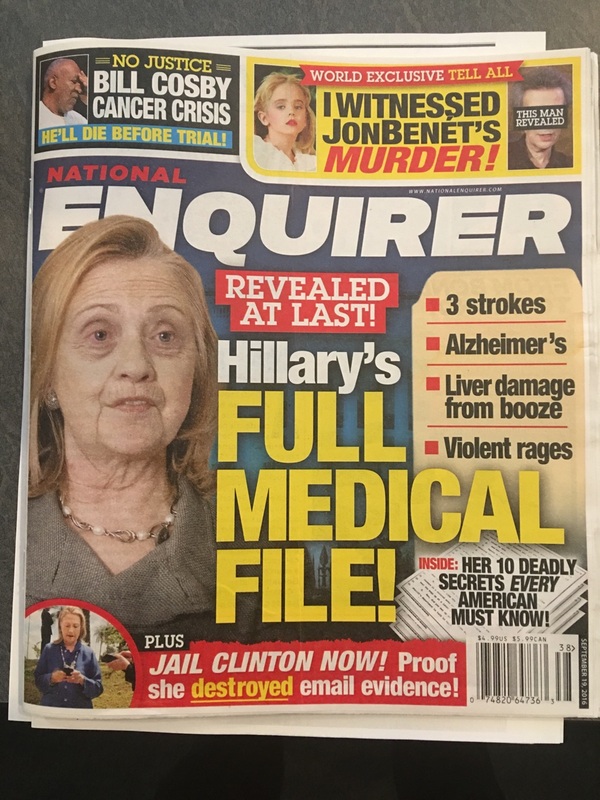 (NNN.is) Hillary Clinton's Parkinson's Disease is confirmed in this exclusive interview (displayed above) with the doctor who has now gone public. Dr. Ted Noel joins Gary Franchi to examine the facts of Clinton’s critical, secret, and debilitating medical crisis. 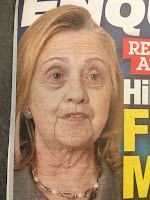 Dr. Noel’s observations, relying on over 30 years in the medical field, lead to the conclusion that Hillary Clinton is exhibiting the classic signs that point to Parkinson's Disease. 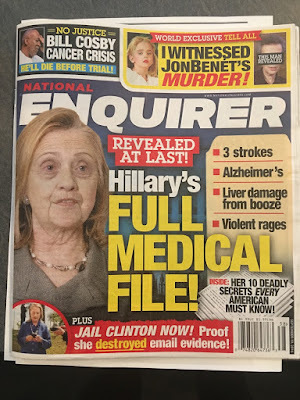 Dr. Noel has decided to go public with his findings and appears on the Next News Network (NNN) to deliver you the truth being kept from the public about a diagnosis that will keep her handicapped body and mental incapacity out of the oval office. (Dr. Ted Noel) Yes, I am a doctor. And yes, I can be wrong. But there’s a right way and a wrong way to prove me wrong. Simply saying, “Pay no attention to that man behind the curtain” isn’t going to work.